we are the browns: more new york friends? yes, please! more new york friends? yes, please! my friends sara and hannah moved here today! like me, they traded salty ocean air and palm trees and sweet tea for...everything opposite. tired from an early flight, they made a burger request and i delivered in the best way i know how. happy february! i love this month. I think I am having a Shake Shack Attack! There is no better place to go when you are a weary, hungry traveler! Yeah for Sarah and Hannah! Yay for friends! Let's be honest, I have been failing miserably in the friend department lately, so I am glad you've got these lovely ladies to hang out with! 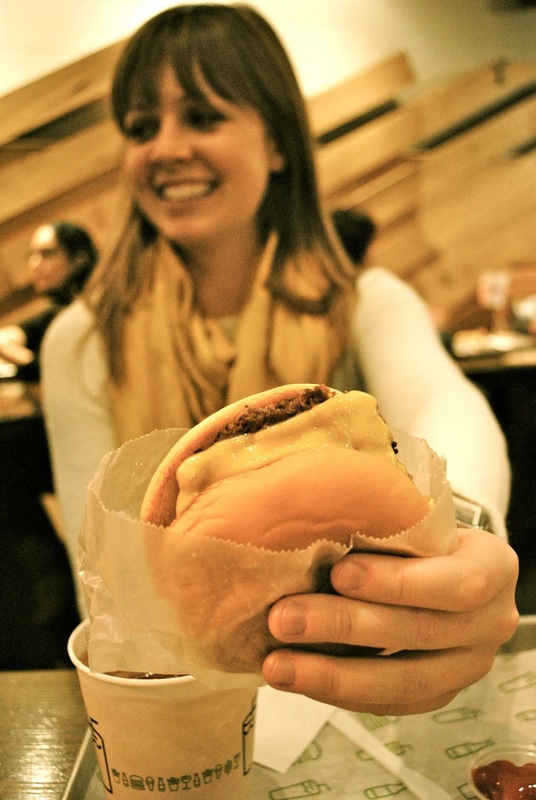 ;) I think shake shack is a perfect beginning to their New York experience.